Universal Procon board director Jane Isted has resigned from her post at the pharmaceutical-specialist agency. Universal Procon is in the midst of consulting with its 150 staff about a proposed restructure, but a spokeswoman said Isted's resignation was unrelated to the shake-up. "Jane made the decision to move on from Universal Procon months before the restructure was proposed," said the spokeswoman. "She's taking a short break but is still passionate about the industry." Meanwhile, the staff consultation period is due to end in late October. 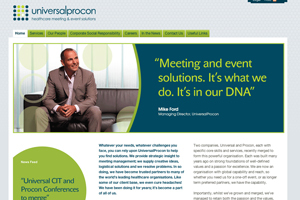 Universal Procon last week confirmed that it had lost the Pfizer account.